Motherwell has released details of season ticket costs for next season. The headline news is that the prices are exactly the same as in the current campaign. As before the scheme providing free access for kids along with the purchase of adult or senior season tickets continues. The theme this time is "What if..". It poses the questions - What if we can work together to create something memorable or even something historic? What if this is the year, our year? What if we can continue to grow our support and create a healthier, more competitive club? 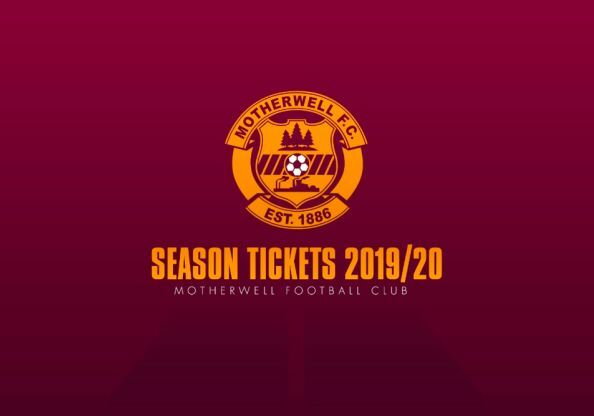 Renewals (and new purchases) can be made on the tickets.motherwellfc.co.uk gateway. The Well Society has announced that there will be a bucket collection before the game against Dundee on Saturday 27 April. The funds collected will.in effect, be doubled under the Double your Money initiative. Motherwell fans are encouraged to renew and chip in to the collection to build the club's financial security. It's our club. Let's make sure we keep it healthy. * 60+ at 1 August 2019, students with valid matriculation card and 16-18 year olds.